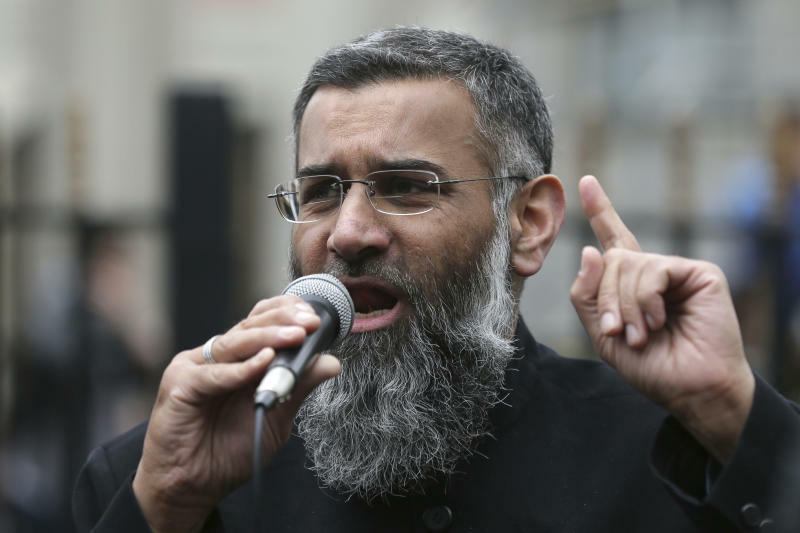 LONDON (AP) — A radical Islamic preacher was released Friday from a British prison after serving less than half of a 5-1/2-year prison sentence for encouraging support for the Islamic State group. Anjem Choudary, 51, left the high security Belmarsh prison in southeast London but will be subject to strict supervision. Prime Minister Theresa May says authorities are equipped to supervise Choudary. 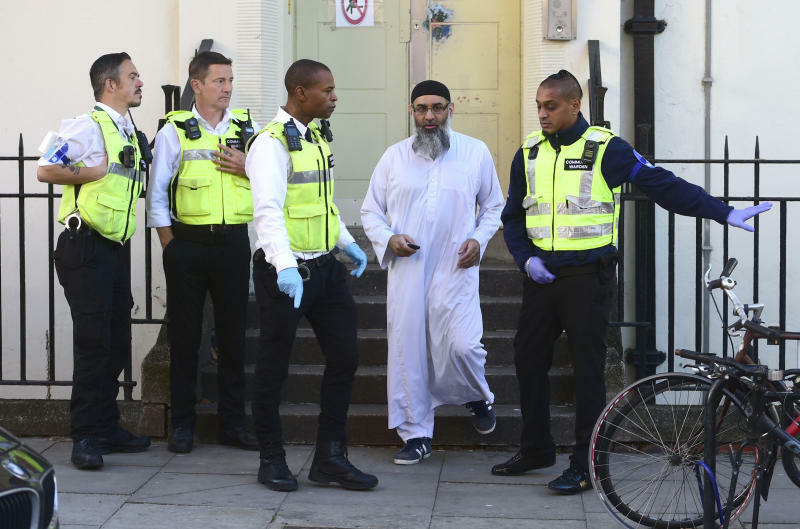 Choudary, from Ilford in east London, is expected to wear an electronic tag, face a nighttime curfew and be barred from contacting anyone who has been charged with extremist-related offences unless he receives prior approval from authorities. He qualified for early release because of time served before his conviction. In addition, Choudary's name has been added to a U.N. sanctions list, which means the government can freeze his assets and bar him from travelling. 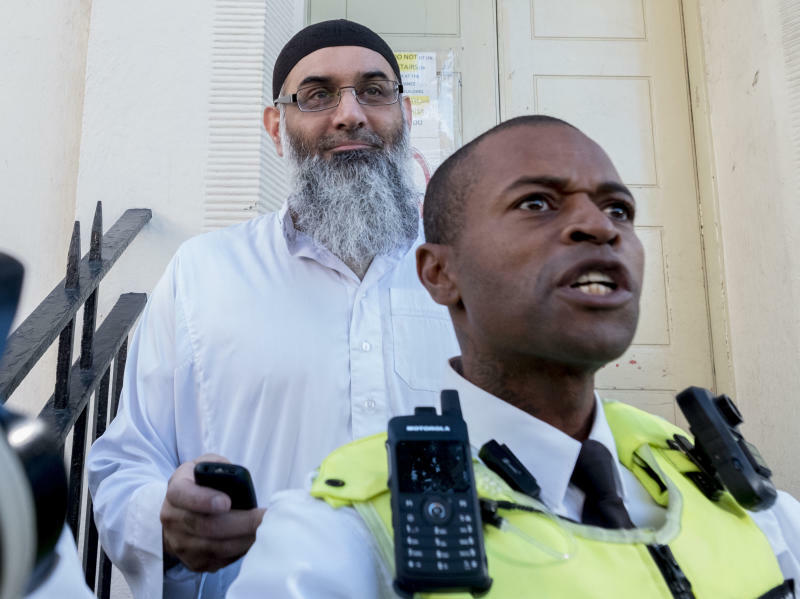 Several people who attended Choudary's rallies and events have been convicted of violent attacks, including the two al-Qaida-inspired killers who ran over British soldier Lee Rigby and stabbed him to death in 2013. Until he was charged under the Terrorism Act, the firebrand preacher gained attention for headline-grabbing activities that provoked outrage but stayed on the right side of the law. They included protesting outside the U.S. Embassy on the anniversary of the Sept. 11 attacks and burning memorial poppies on Britain's annual Remembrance Day honoring slain service members. But he ran into trouble in 2014 after his name appeared on an oath circulating online that declared the legitimacy of the "proclaimed Islamic Caliphate State." Choudary said the oath was made without his knowledge. A former head of counter-terror policing, Mark Rowley, told the BBC that while Choudary was a "significant arrest," it would be prudent not to overstate his significance. "At the end of the day, he is a pathetic groomer of others," Rowley said. "That is what he has done in the past. He is not some sort of evil genius we all need to be afraid of."